The first blog post in this series The importance of breaking habits by setting realistic goals focused on the need for you to set goals in order to break bad habits (such as procrastination) and ultimately free you up with some time where you can learn, practice and implement the new techniques we’ll be teaching you. But there’s something also that I want to discuss and it goes hand-in-hand with setting goals. Funnily enough, I first heard this expression in the teen comedy The Girl Next Door, but don’t let that reduce the value it offers in the underlying idea. As designers and developers alike, we often choose to design things in a certain way because of many different factors. Sometimes limited by our ability to code, we design a website to match whatever theme options our chosen theme allows us to do without writing CSS. Other times we may do a custom row divider just…because…we can. We recognize our ability to code and design, and together we can utilize them to add the customized row divider that we just (for the sake of it) want to do. If we’re lucky enough to foresee this, we may even cover the costs of adding in this extra bling into the quote we provide our clients. The sad truth is that most of the time we don’t. Sitting at the computer implementing a custom feature to a website is fun but ensure you’re getting paid to do it. Work it into the cost of a client project or set aside the goal of having time that week to learn the method. Throughout the coming blog posts we will be teaching you some more advanced techniques that you can implement to customize your website and increase its modernity. From customizing your header and blog, to page layouts and custom post types – it’ll all be covered. Have my goals this week allowed me to test out this technique? If not, set your goals and put aside some time this week to practice the technique. Will it add value to the project you want to implement it on? Will the technique that you’re about to implement add value to the project you’re going to use it on? Will it increase conversions? Will it work better for mobile users to my website than the currently implement features on your site? The chances are that if the client has not specified that they want this feature, then they won’t miss it and you’ll save time. Shorter project times means you can do more work and earn more revenue. Will you use the technique again? If you won’t use the technique again, and it’s for a client project that you haven’t added the costs into the quote for, bookmark the technique and come back to it. If you’re really wanting to learn it, try and work it into your next quote or put aside some time (set the goal of putting aside this time). The techniques we will show you will be really helpful, but not all techniques will apply to everyone out there. We know for certain there’s sunflowers and rainbows, but that our websites are completely stable and unbreakable – that’s another matter. You should always consider whether you should really implement a custom feature, whether it be some CSS styling to the header or an additional plugin. The techniques we will be sharing are in response to the requests of you, our customer, and friend. So our mission is to help you learn what you’re wanting to know. But we just want you to understand that sometimes the technique you’re trying to implement may mean you need to support your client’s more in the future and will require you to train them on this new feature initially. The methods we will be sharing will be the easiest method we know to implement a custom feature while also being the most stable – you can count on that. But we just want to make sure you’re covering yourself for the time you’ll take to add it into the current project. If we share a technique that you like, set aside the time to learn and understand how it works, but this doesn’t mean you have to put it into a client project. Knowing how to do lots of custom things to your websites will allow you to be more flexible and creative with your websites, but you can pick and choose when you use techniques. Add the technique to your bag of tricks and use it when appropriate. And just to reiterate for the millionth time in this article, use the technique when the client is covering the costs, when the technique will make the website more user friendly or when the client requests it directly. Each technique or custom feature you implement on a website should add VALUE to the website. By value, we’re referring to both the customers / visitors to the website, and also the business who owns the website. 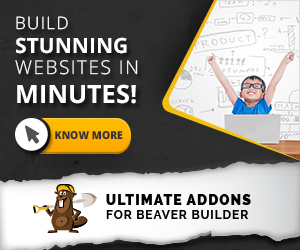 Recently while redesigning BeyondBeaver.com we wanted to add in some marketing automation strategies and lead generation tactics. We searched high and low and finally settled on Active Campaign for our email automation system. We absolutely love it and (for us) it blows Mailchimp and the others out of the water in terms of functionality and price. We tried a lot of email automation programs before redesigning our website and Active Campaign is the email system we finally chose. Its drag-and-drop campaign builder and the logic it allows you to add is extremely valuable and has increased our mailing list by 100% in the first week. But we didn’t just learn it and implement Active Campaign straight away. We remember this clearly. We had quite a few client projects on so, as hard as it was to not dive in, we set aside half a day later in that week to test all the email marketing softwares. Based on reviews we found online, and using test accounts we eventually realized that we would use Active Campaign when it was the right time. We’d learnt the software and the skills, but it just wasn’t the right time to implement. Eventually, we increased our mailing list subscribers count until the price of Active Campaign (although a low price, lots of low prices eventually add up) was justified. Then, we made the switch from Mailchimp. In this example, our mailing list covered the time it took to swap across to another email system, but the same can be said for client work and implementing new CSS and PHP code. Learn the skill, then put it aside until you can work it into a project and be paid to use it. Before you learn a new technique, ensure you have set aside time to actually learn it. Even better, if you can, factor this time spent learning into the price of your next project. But don’t quote, see a feature on a website you like, and then try and integrate it into the new project you’re about to start if you haven’t covered the time it’s going to take to implement and sacrifice meeting your deadline and keeping your client happy. Learn in your free time and ensure your projects meet their deadlines. Is the feature worth the time spent on the current project? Or could you work it into another project and get paid to learn it. If you have any personal real-life examples where you’ve set aside time to learn a new technique, or, even better, used a client project to learn the new technique and cover your time, we’d love to hear about it. Please comment below on this page.